Cove Condo are one and two bedroom condos located in Summit Cove in Dillon Colorado Real Estate. Built in 1971 there are 31 condos comprised of 23 one bedrooms and 8 two bedroom units. The two bedroom condos are two story units with your living room, kitchen and half bath on the main floor and your bedrooms and full bathroom upstairs. Cove Condos are steps from picturesque Lake Dillon, the Summit County Recreation Path and the Summit Stage bus stop. 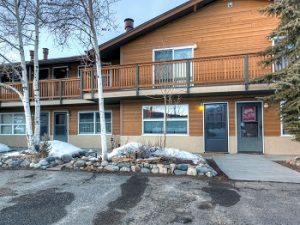 Located in what is known as Summit Cove these affordable Summit County condos are 2 miles to the Keystone Ski Resort and approximately 4 miles to the Town of Dillon. These Dillon CO condos are perfect for full time residents, second home owners or investors looking for Dillon CO Real Estate.